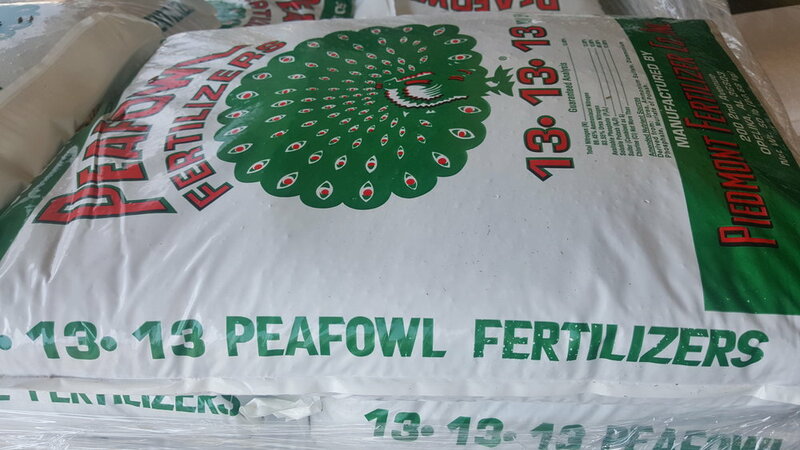 Lawn & Garden, Pasture, and Pond fertilizers are available here at The Feed Lot. We are can answer your questions about when to fertilize, type of fertilizer and the amount needed. Bulk pricing and delivery are also available. One of the best ways to determine how to maximize production of any crop is to get a soil sample. The Alabama Cooperative extension offers soil analysis which can give you an in depth nutrient report and recommendations for application. Click on the logo for more information on soil samples. Super Rainbow plant food is a premium homogenized micro nutrient plant food. This is an all round fertilizer that is great for trees, shrubs, and vegetables. Click on the logo to learn more about Super Rainbow plant food. Click here for application suggestions. Available in 50lb bags. Our inventory includes a variety of garden, flower, and shrub fertilizers. Both bag and liquid fertilizer is available. The Feed Lot stocks an assortment of pasture and turf fertilizers for grazing and food plots. Pasture fertilizers with herbicides are also available. We offer pond fertilizers and treatments to keep the algae under control. Pond dyes are also available.